By Kaan Ulgen / March 5, 2014, 3:27 p.m. The government’s initial reaction to the corruption scandal was to tie the events to the Gezi protests and label it as a part of “a global conspiracy” to take down the ruling AKP party. 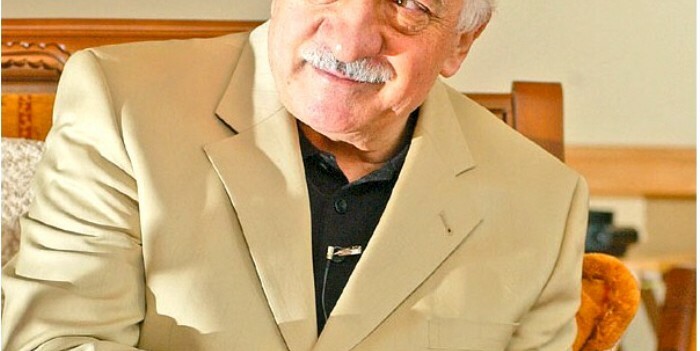 However, over the next few days the AKP government focused on a more concrete and prominent culprit associated with the corruption ring—Fetullah Gulen (pictured above), a cleric who was widely admired by the AKP. So who was Fetullah Gulen and why had he and his followers turned against the AKP and Erdogan’s government? The answer and fallout from this conflict sheds light on a problem that might significantly affect Turkey’s immediate future. Gulen is a moderate cleric living in rural Saylorsburg, PA. He commands perhaps the largest and wealthiest moderate Islamic organization in the world. His organization runs hundreds of Turkish schools across the world and the largest test-prep centers in Turkey. His companies are among the largest in Turkey and they control several popular newspapers that hold a lot of traction among the Turkish public. Gulen is known for his moderate worldview and, therefore, garners the respect of many Western officials. Yet, there is also an alleged dark side to Gulen and his organization. It has long been argued by secularists that the “Gulenists” had infiltrated Turkey’s police force and judiciary. Many of these critics blame the police officers and prosecutors tied to the movement for fabricating evidence against military officers in the Ergenekon and Balyoz trials in which hundreds of military officials, journalists, and politicians were arrested and tried for attempting to bring down the AKP government prior to 2007. These allegations were regarded as baseless lies according to newspapers. These newspapers, many of them owned by Gulen’s organization, were predictably staunch supports of the government and, therefore, many government officials openly praised Gulen. This alliance between the AKP and the Gulen movement came to an end a few months before the corruption operation as AKP decided to go ahead with the plan to put a ban on Gulen’s test-prep centers. These test-prep centers which serve hundreds of thousands of students are a huge source of income and recruitment for the movement. Organizations affiliated with the movement, therefore, were quick to criticize the AKP’s decision to close the centers and tensions between the two factions rose. Some AKP officials in fact were criticizing the influence Gulen’s organizations had over government and politics and the day before the corruption operation an AKP MP (member of parliament), known for his close ties to the Gulenists, gave his resignation from the party. The repercussions of the corruption charges and arrests are huge. The three ministers whose sons were arrested have resigned, one calling for the resignation of Erdogan as he claims his actions occurred with the direct approval of the PM. The European Minister also later embroiled with the incident was taken off duty in a cabinet shuffle. Additionally, in the ensuing months, a couple hundred police officers faced duty changes. Involved prosecutors within the justice department were also suspect and. therefore, removed from the case. Overall more than hundred prosecutors had their duties changed. More generally, across all state organization anyone thought to be close to the Gulenist movement was removed. The government has now labeled the Gulenist movement a “parallel state” and vows to do everything in its power to end their influence in the government. In the month following this response, Gulenist police raided an Islamic Charity thought to be close to the government. The police officers were dismissed after the raid. An arrest warrant was even issued for the son of the PM Erdogan and later rescinded. Reports soon came out that prosecutors were giving the police orders to conduct corrupt operations. The newly appointed police, however, refused these orders. In response to this increasing interconnected corruption, the government proposed legislation that would tie Turkey’s semi-independent organization in charge of appointing prosecutors and judges directly to the parliament, effectively trying to end the independence of the judiciary and law enforcement. The struggle between the Gulenist movement and the AKP is continuing on a highly destructive scale with massive implications for all parties involved, not to mention the country as a whole. Throughout the last couple months, the stock market has fallen wreaking havoc on the nation’s economy. Local elections are coming up on March 30, and as the AKP fights to maintain control, the party faces tough mayoral races in Istanbul and Ankara. As Turkey confronts an ever-deepening crisis on multiple levels of leadership, it is clear that AKP’s authoritarian streak will continue and the Gulen movement will remain unaccountable to any authority. As these two sides are pitted against each other, it becomes clear that whoever wins this fight will likely have few checks and balances placed on his rule.